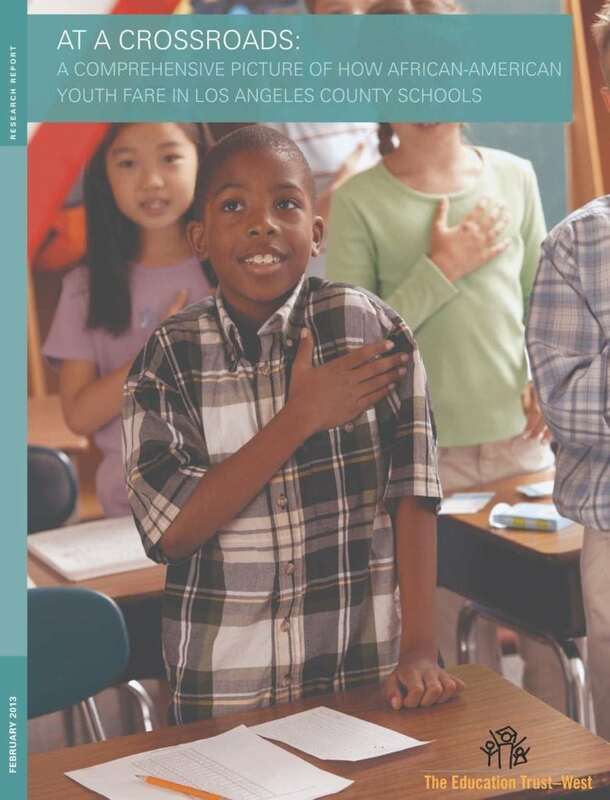 Today, The Education Trust–West releases At a Crossroads: A Comprehensive Picture of How African-American Youth Fare in Los Angeles County Schools and accompanying Prezi. Using data from multiple sources, the report finds that academic and socioemotional outcomes for African-American students in L.A. County are poor overall. However, it also identifies school districts where African-American students are doing better on a range of outcomes including academic performance, graduation rates, A-G completion rates, suspension rates, special education identification rates, and health and wellness indicators.